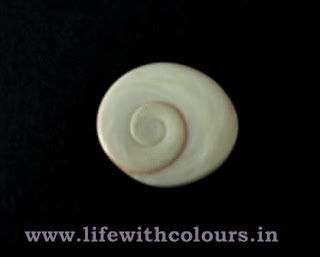 One side of the Gomati Chakra is elevated like a shell while the other side is flat with circular design like whirl which looks like a snake. This is the reason why it is also known as "Naag-Chakra" i.e. snake chakra. According to Vedic Astrology, it is beneficial in cases of people who have 'Naag dosh' or 'Sarpa Dosha' in their horoscope. Many leading politician's popularity is solely attributed to the Gomati Chakra and it has also earned them victory by large margins during elections. • Gomti Chakra removes Vastu Dosh: 11 Gomti Chakras are buried in the foundation of the building to bless the residents with long life and prosperity and negate the evil effect of vaastu dosha caused in SE direction. • Gomti Chakra appeases Godddess Lakshmi: 7 Gomti Chakras are wrapped in red cloth / yellow cloth and kept in lockers or cash box to ensure the blessings of Goddess Lakshmi - the goddess of Wealth. • It is believed that those people who possess Gomti Chakra will be blessed with money, good health and prosperity. It is also believed to protect children. • In some regions, eleven Gomti Chakras are wrapped in a red cloth and placed in rice or wheat containers. This is for food security. 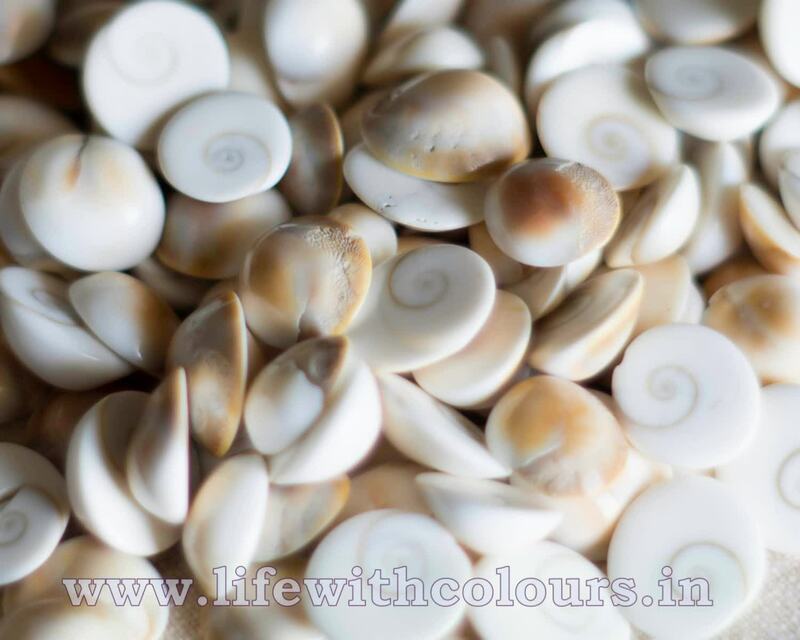 • As it has special powers, many Jain sadhus & sadhviji, use it as a special Yantra, during Pooja. 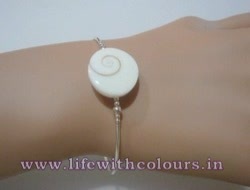 • It should be yellowish brown on the back and have white whirls on the top. • It must be soft and gentle touch. • Its circular edges must be smooth and not broken from many places, but sometimes it comes very natural that form the brownish or yellowish part side you might be found some dots or holes and this are natural and u can’t tell anyone that it is defective…..
Gomati Shilas are used for placing Shaligrams in some special worship. Gomati Shilas are also used as protective for children. It brings wealth and good health. This is also known as Cow's Eye Shila. Some consider this as Eye of Lord Shiva. 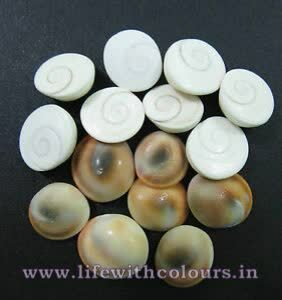 These shilas are considered very sacred and beneficial when placed along shaligram as 26 Gomti Chakras are joined together to form a Gomti Shila. Gomti Chakra u an either put in pendant, make it ring or bracelet or else u can keep one small pic in your purse or wallet.